Congratulations on your new baby! Your little one is going to change so fast, and there will be so many things you'll want to remember forever. I'd love to capture these memories for you! New babies are best photographed within the first 2 weeks since they tend to sleep better and are less prone to baby acne then. Newborn sessions may be held in studio or in your home with Atlanta newborn photographer, Simply Corey Photography. Your immediate family is welcome to join in and have photos done with the new baby during your newborn session. More examples of my newborn photography sessions can be found on the blog. Simply Corey Photography is also available for maternity sessions and Fresh 48 sessions in the hospital right after your baby is born. 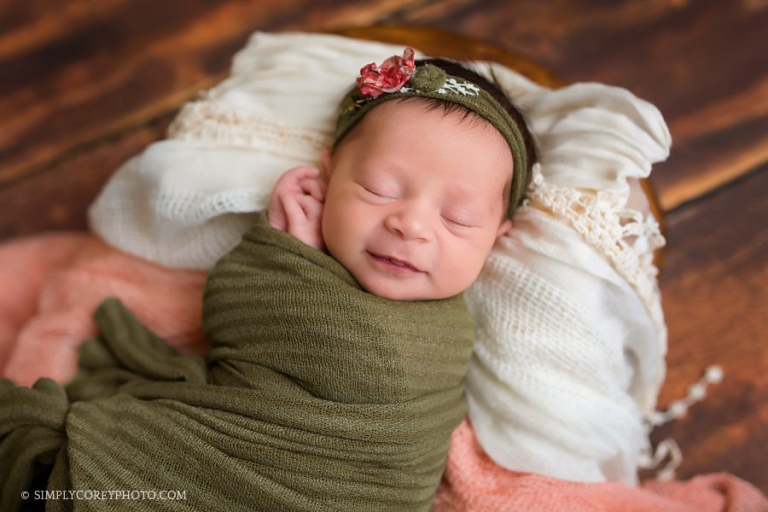 Are you interested in capturing those first memories with a custom newborn session? Send me an email to request my availability and detailed pricing!